As we move forward, it’s becoming clearer that players no longer want to visit land casinos. Instead, casino enthusiasts flock to the world of online casinos where they can engage in their favourite past time either on the go or from the comfort of their own home. Online casino gaming becomes easier and more intuitive each day. This includes the ways in which we make our deposit and withdrawals or ‘payment methods’. In all the excitement, players often forget about some of the core features of an online casino. One of the most significant is payment methods. Before you register an account with any site, make sure to research carefully what payment options they accept. Reputable online casinos tend to accept a wide variety of cards, transfers and e-Wallets. Be wary that you’ll also be expected to verify your account, but the casino will prompt you to do so. This might include submitting personal details about yourself, such as country of residence, age, address and possibly a copy of a driver’s licence or utility bill. Below, we’ve laid out some of our most recommended options and how to use each for a smooth casino experience. The debit and credit cards are some of the most reliable and common ways to deposit and withdraw funds at an online casino. Why? Well, most of us use our cards on a daily basis. Credit and debit cards are simple, straightforward and typically speedy. The most common cards to use are Visa and MasterCard as they’ve become an everyday item. Depositing cash at casinos nowadays is effortless and immediate. The casino wants you to get spending and you want to get gaming. It’s a win-win situation. You could be waiting a while longer to physically deposit your winnings. The solid, reputable casinos generally offer a quicker withdrawal process, but you can expect to be waiting between 1-5 working days for the funds to hit your account. Whether you use MasterCard or VISA, is entirely preferential. You can be guaranteed almost every online casino will accept VISA. It’s simple; all you need to do is insert your card details. An incentive to use VISA, is that sometimes gamers will be offered a number of unique bonuses for using VISA to fund the account. Bear in mind, regardless of which operator you choose, if you use a credit card, it can get quite expensive where bills aren’t repaid within the allocated time. As to whether you use a VISA debit or credit card, this boils down to personal preference. Nowadays, some consider credit cards to be a safer bet. In the unusual instance where the casino goes bankrupt or refuses to pay out, the credit providers are likely to help you retrieve your winnings or cash. Bearing this in mind, these actions are at the discretion of the company. In the past, credit cards have been known to be attacked by fraudsters, so now the credit card companies are more cautious about privacy. Ultimately, MasterCard and VISA hold a vast number of similarities. They’re major competitors for each other, this means they constantly strive to equal or better each other. The most common differences will be the credit limits you’ve access to. You’ll need to contact your banking provider or check your statements to know the cutoff limit you’ve been appointed. There can be charges to MasterCard when depositing or withdrawing. This’ll usually be decided by the casino you play at. Not to forget, if you don’t pay off your debt in the expected time frame, you’ll incur fines. An added bonus is that the best online casinos will allow for a quick and pain-free experience when you choose MasterCard. At many of these casinos, you won’t be required to go through those tedious security measures or verifications. Similar to credit and debit cards, a very popular method of payment for Canadians, is iDebit. To use iDebit, all you need is online banking. It’s a safe and secure online payment method that allows you pay through your online banking. Royal Bank of Canada, and more. As to be expected, transaction fees can arise. Setting up an account and making a payment directly from your iDebit account is free while making a payment from the online banking service incurs a fee of 1.50 CAD/USD. If you wish to transfer funds from your iDebit account to your banking account that’ll also incur a fee of 2.00 CAD/USD. But most importantly, transferring funds to your casino account is free. If for whatever reason, you need to cancel a payment, you can’t do so from the iDebit account. Instead, you must contact the merchant. InstaDebit is another exceptionally popular payment method for Canadians. They’re confident with its simplicity and ease with which the transactions take place. InstaDebit allows the consumer to make cash payments directly to the online casino from their bank account. It does what it says on the tin, instantly deposits the credit into the merchant’s account. There’s a number of benefits to using InstaDebit, including the fact it’s free. Signing up couldn’t be simpler. You need to give your name, address, birth date and the last four digits of your governmental identification number. The casinos will always prompt you if you’re missing details or information. As always, an InstaDebit withdrawal will probably take that bit longer than the deposit. So, give yourself up to five days before these funds land in your account.People who use InstaDebit have recommended UKash, Neteller, Entropay and PayPal. Ultimately, gamers are looking for an effective and efficient way to deposit and withdraw their winnings and/or funds. What makes EntroPay so appealing is its promotion of privacy. No financial or personal details are transferred from Entropay to the merchant. All you need to do is set up an Entropay account when registering. EntroPay is also free to open and use, so you don’t need to worry about additional expenses. EntroPay can be used in its virtual format or as a plastic card. EntroPay is also available to our neighbours in America, unlike such methods like InstaDebit. Using EntroPay is a very practical yet un-invasive process. 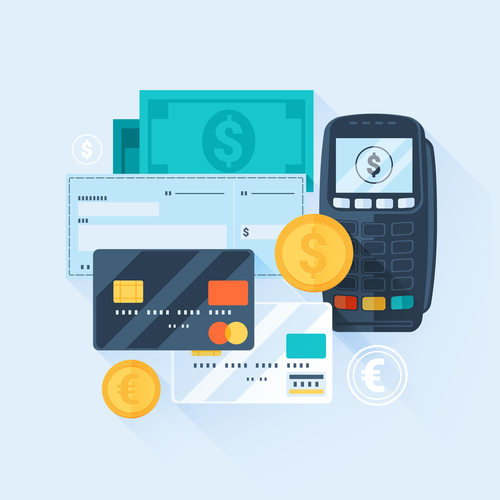 The beauty of EntroPay is that it’s prepaid, which means it’s similar to a debit card and you won’t have to worry about overspending your budget. If you’re using the physical card, you can use it almost anywhere. If you see a VISA or MasterCard symbol, it can be used there. The only minor concern is the fee that’s attached to withdrawing winnings. You’ll be taxed 2% by EntroPay when you receive your winnings onto the card. Essentially, PayPal is considered the original e-Wallet, that kick-started the digital purse phenomenon. It’s been trusted since its launch in 1998. Pay Pal’s most enticing feature is that there are no credit or history checks. There’s no need to provide any personal information and takes a matter of minutes to set up. Similar to VISA’s process, you can be treated with special bonuses for making frequent transactions. On top of this, the transactions fees are minimal, which makes it, even more, user-friendly. Canadian gamers who use Pay Pal can expect instant deposits and snappy withdrawals. Depositing and withdrawing couldn’t be easier, and the casino will typically prompt you for the steps to follow. Canadians who use bank transfers are few and far between, but they’re out there. Typically, those of us who use bank transfers are less tech-savvy. As long as you’ve online banking, you can use a wire transfer. It’s considered to be one of the easiest and safest ways to transfer cash from one another. If you’re looking for immediacy, using a bank wire may not be the best option. You could be waiting several days for it to reach either account for deposits and withdrawals. So, if you’re a weekend player who’s not under pressure to withdraw and who favours safety over all else, we recommend wire transfers. Which is Safer for Online Casino Play – Debit or Credit Cards? Either is a safe and effective way to deposit cash at an online casino. However, credit cards are known to be a hot spot for hackers. In recent years, the credit card companies are making things a little stricter, so you can expect to fill out some extra documentation when registering with a credit card. Bear in mind, typically you won’t be able to withdraw cash with a credit card. Do I Need to Pay Fees When Using a Debit or Credit Card? There’s generally some sort of fee attached but is usually minimal. Can InstaDebit be Used Anywhere? InstaDebit is for Canadian residents only. So, you must be living in Canada and using a Canadian online casino to make use of it. However, it’s exceptionally useful and highly recommended if you fit the criteria. What’s the Min and Max Amount that Can be Withdrawn from an EntroPay Account? The minimum withdrawal is around 10 CAD, while the maximum is 10,000 CAD and will take between 3-5 business days. Pay Pal is recommended for those who’re regularly making transactions online. You can store all your information in one secure place and can avoid the hassle of searching for details or visiting a financial institute. Pay Pal Sounds Too Good to be True – Is It? Not really. Pay Pal is pretty upfront about any terms and conditions. This includes that small fees that are attached. As well as this, it’s not universally accepted across all online casinos. A lot, but not all. Are There Other Forms of e-Wallet that Can be Used for Online Casino Payment? There’s a pretty substantial list, but the above mentioned are just our preferred grouping for Canadian consumers. People who use the aforementioned also like; Neteller, Skrill, EcoPayz and Zimpler.